TAKE A STAND UP COMEDY CLASS WITH DJB! DJB has been teaching stand up comedy classes for over 10 years. He's taught over 1000 students his approach to writing jokes and taking the stage confidently. 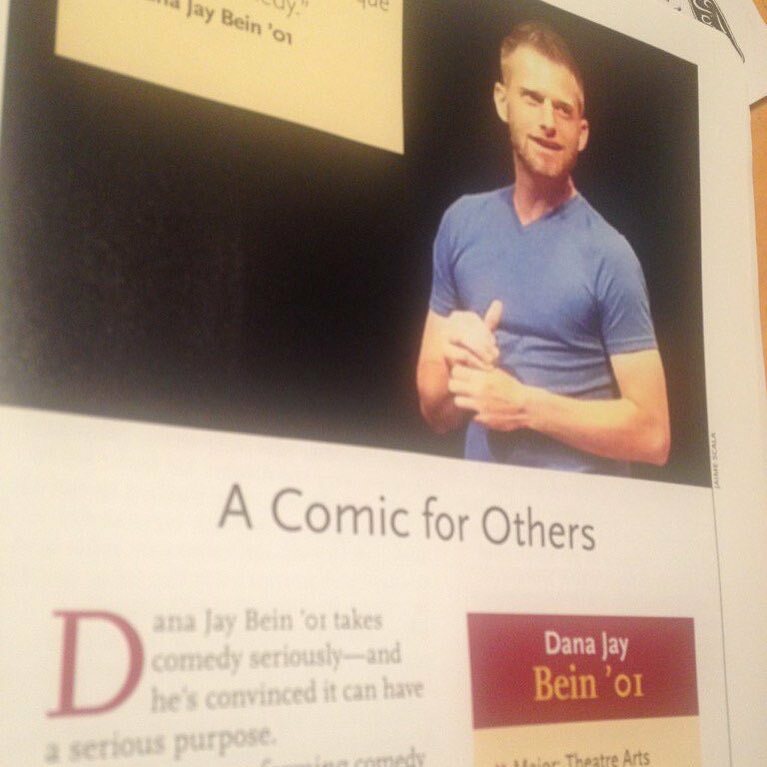 In 2005, DJB wrote and installed the stand up comedy curricula for ImprovBoston's Comedy School. Enroll in one of DJB's classes at ImprovBoston here! WORK ONE ON ONE WITH DJB! DJB offers one on one stand up comedy, public speaking and comedy career coaching. Email danajaybein@gmail.com to discuss approach, strategy and rates! "Taking Dana's standup class is without a doubt one of the best decisions I have ever made. It started me down a path that changed me and my life for the better in so many ways. Dana fully prepared me for not only the challenge of performing my first stand up set, but setting further goals and tackling each of them successfully. I would not be where I am today without him. I cannot recommend his class enough!" "I didn’t plan on becoming a stand-up comedian when I took Dana’s class. I was just a guy going through a bad divorce looking for something to distract me from my problems. I can’t tell you that taking his class will change your life, but it did for me and I know countless others who will say the same. Even if it doesn’t change your life, you will learn valuable skills that you can use in your professional and personal life. There are a lot of comedy teachers that can teach you the basics of how to write and deliver a joke but there is no one as good as Dana in giving you the encouragement and support you need to take your first steps in comedy. Dana will give you the confidence to perform and succeed. And should you pursue comedy after the class, Dana will be there for you long after you graduate. I have been doing comedy for 9 years now and I owe a great deal of my success to Dana. He is a great mentor and friend and one of the true gems of Boston comedy. I feel fortunate to know him and have taken his class." "I enjoyed learning Dana's tips and techniques during his Stand-up Comedy Class at the Boston Center for Adult Education. "I've known DJB for 4 or 5 years since moving to Boston. I first got to know him as a host. A terrific host of many of the shows at ImprovBoston. These shows were Standup, Sketch and Improv. I then saw him perform his own standup. I saw him perform in the cast of Face-Off at the theater, too. Needless to say, he's a talented dude. In fact, I would say he's the most reliable host (no matter show premise, structure, or audience) at the theater. Watching him on-the-fly interact and read an audience is a joy. I later had him as guest star in one my larger productions at the theater. Again, just superb. Always gives it his all. But, great performers do not always make great teachers. I took his Introduction to Standup at ImprovBoston. I have been performing, directing, and writing sketch and improv for over 20 years. I have had lots of teachers - many quite famous, frankly. But, I have only dabbled in Standup and the one time I did it was back in the 90s in Detroit. The teacher there was formulaic. He came from the school that a joke has a setup, punchline, etc. It was a terrible experience and I just went back to doing improv. Well, move forward all these years , and after getting to know DJB, I figured, why not. His class was an amazing experience. First of all, each class member had a different style and Dana guided us all along our own individual journeys. He so quickly picked up on all our personalities and provided a very engaging and safe environment. In fact, he was so good at developing class chemistry, that we on our own (usually at least half the class) went to open mics around town probably 10 or so times outside of class during the eight weeks.